In June 1816, the Medusa, flagship of a French expedition to repossess the colony of Senegal from the British, set sail. She never arrived at her destination. Commanded by an incompetent Captain, she ran aground off the desolate West African coast. The evacuation of the frigate was chaotic and cowardly and 146 men and one woman were herded aboard a makeshift raft which was then abandoned in mid-ocean, cut loose by the convoy of lifeboats which had pledged to tow it to safety. The drifting raft carried those who survived to the very frontiers of human experience. Crazed, parched and starving, the diminishing band slaughtered mutineers, ate their dead companions and organized a tactical extermination of the weakest among them. Meanwhile, the victims from the boats who made it ashore, undertook a dangerous two-hundred mile slog through the sweltering, mid-summer Sahara. Having laid the foundations for this tragedy, the Restoration Navy and neo-conservative administration, rightly fearing the political fallout from the disaster, did everything in their power to muffle the Medusa story. Among the handful of survivors from the raft were two men whose written account of the tragedy catalogued the trail of government incompetence, indifference, and cover-up. Their book became a best-seller which rocked Europe and inspired the promising artist, Theodore Gericault. Reeling from an illicit affair with his attractive young aunt, he threw himself into an exhaustive study of the Medusa tragedy, turning it into a vast canvas. 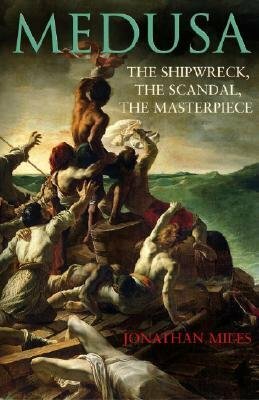 Set in the politically fragile world of Restoration France, the murk of Georgian London and along the dangerous West African coast where the French were covertly regenerating the outlawed slave trade, Medusa witnesses' error and outrage turned into a best-seller, and that best-seller transformed into one of the masterpieces of Western art.